I have been very pleased with your service. Drew is fantastic!! Very professional and thorough! I have had Rottler for around 15 years. They come quarterly to my house. Service has been great and no problems. I have severe allergies to dust, mold and chemicals. Their products have caused absolutely no health issues for me. Obviously I’m thrilled! Had a new guy, but I think he will be good. I have a wildlife service agreement with Rottler. Recently, I had concerns that a raccoon may have gotten into my attic because I heard activity for around 20 minutes on two occasions on a very cold night. A service technician responded to my call, and did an extremely thorough inspection, ultimately informing me that there was no evidence that an animal had broken into the attic. The technician was very courteous, and I really appreciate his thorough examination of the roof and soffit to address my concerns. Holiday lighting made effortless & stress-free! Your team is courteous, timely, efficient & made our home look festive & cheery this holiday season - many thanks! Great work excellent employees and a complete job. nice to have insecticide around doors and windows to keep out pests during winter thaws. 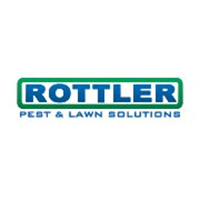 We are very pleased with the service Rottler provides! Thank you so much! Having moles taken care of without my effort is a great thing. My previous efforts were futile. Dave is very professional and friendly. Everyone involved with lighting our home for Christmas was wonderful from start to finish. Matt is quick, thorough and a perfect gentleman!! Service is very good, service rep is efficient. We could not be more appreciative of the services we've received from Tom and the team at Rottler! Their responsiveness, professionalism, knowledge and excellent customer service have been so helpful in ensuring that we are pest-free!! They have consistently gone above and beyond to be helpful and we are forever grateful - we would recommend their services to everyone!! Matt does a great job!! A group of professional dedicated and personable people to work with. They are professional and very customer focused. Very prompt and accommodating, in removing squirrels. We had issues this year with the lights getting tripped but rather was great to come out and service them I don’t think we ever really came to fix the problem but they were always there within hours of us calling so that’s a great thing I am the lights look great as always we are very satisfied the only thing that I could recommend doing and it’s really small insignificant but if they would take a blower when they are done setting up and taking down the greenery so that there’s not a big messOn our front porch and the side side porch if they would just blow that off it would look much better and make the owner really happy but otherwise extremely happy so thank you again for another year of beautiful lighting. Service is great, the technicians are courteous and professional. I refer the company all the time. Drew did an excellent job: very polite and professional. He went way beyond just the job requirements, and he even came back a couple of days later and put up some fabric material on the outside of my house. Thanks! I have no bad issues or problems to report. Scott continues to keep our home pest free and is quick to respond to any unusual pest sightings. We don’t like the price increases but. . .
We love your service and our technicians. They are professionals, knowledgeable and have always exceeded our expectations. We are glad to see Matt get promoted but we will miss his smiling face and excellent work. Matt was always very thorough but always asked questions about his service. He always wanted to do the best job possible for us. We will miss Matt but Rottler has always done a very good job for us. On a lighter side, we don't want to be bugged and that is why we use Rottler. Drew does a great job and is an asset to your company ! I am delighted with the thorough check of my house to make sure I don’t have any pests. Joe does a great job for us. He’s always very friendly, knowledgeable and willing to put forth extra effort.